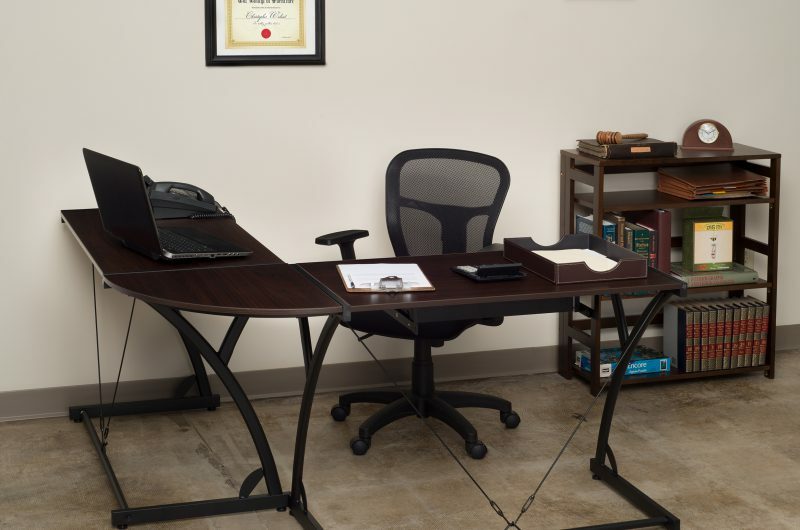 Functional and style combine in our spacious L-Shape Corner Desks. 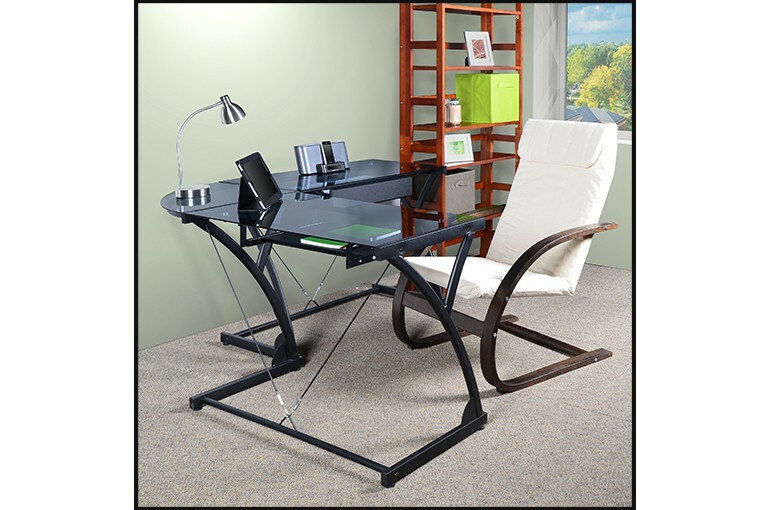 The perfect addition to your home office. 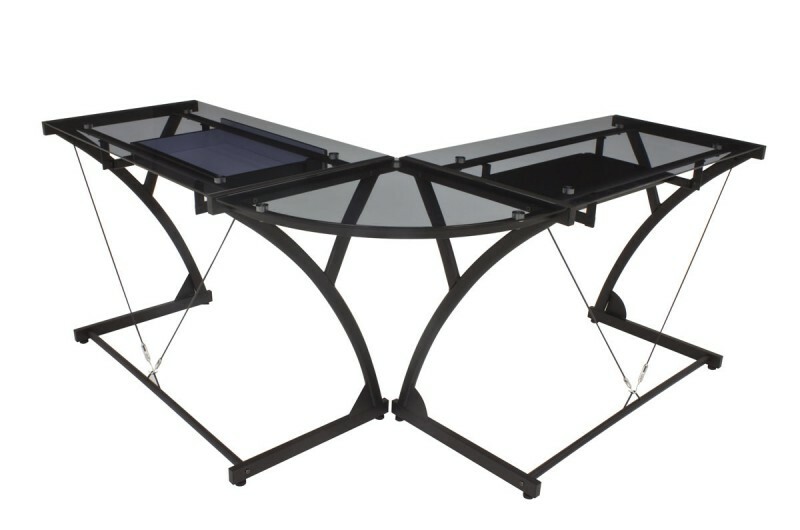 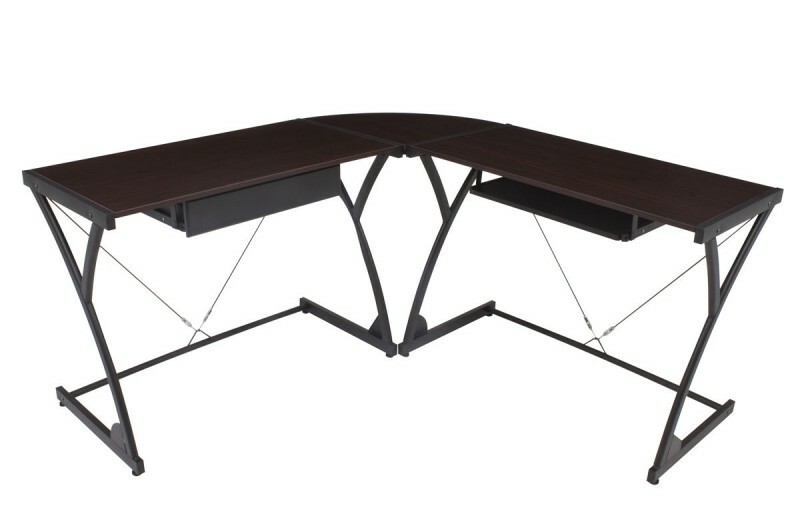 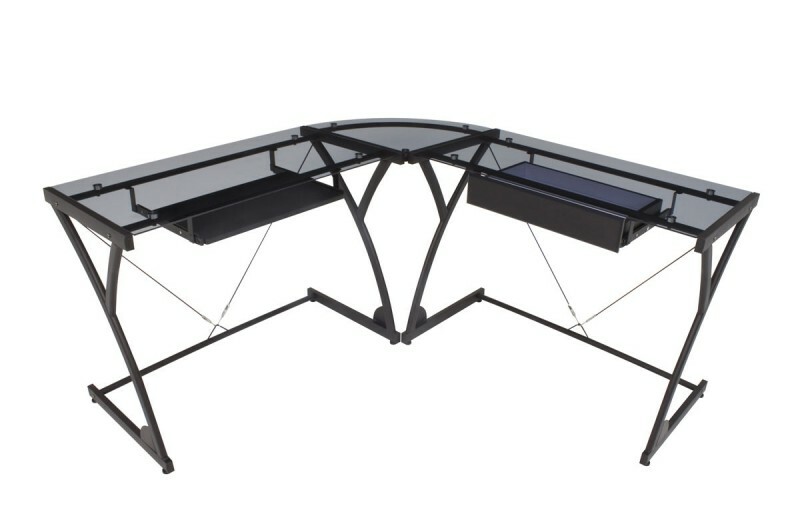 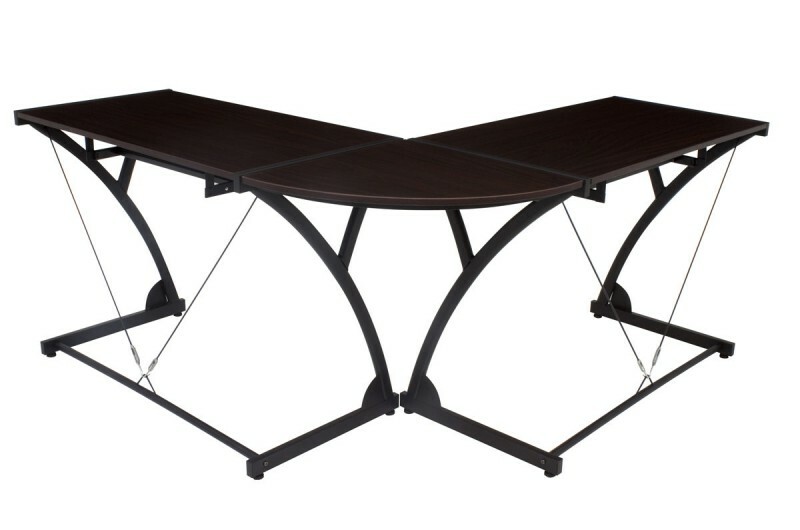 The desk is constructed of black steel with your choice of an 8mm tempered smoked glass top or hardwood Mocha Walnut top. 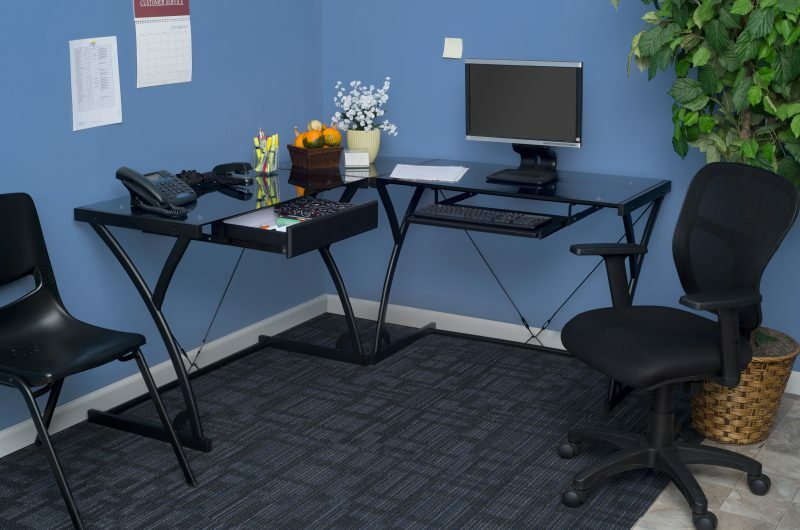 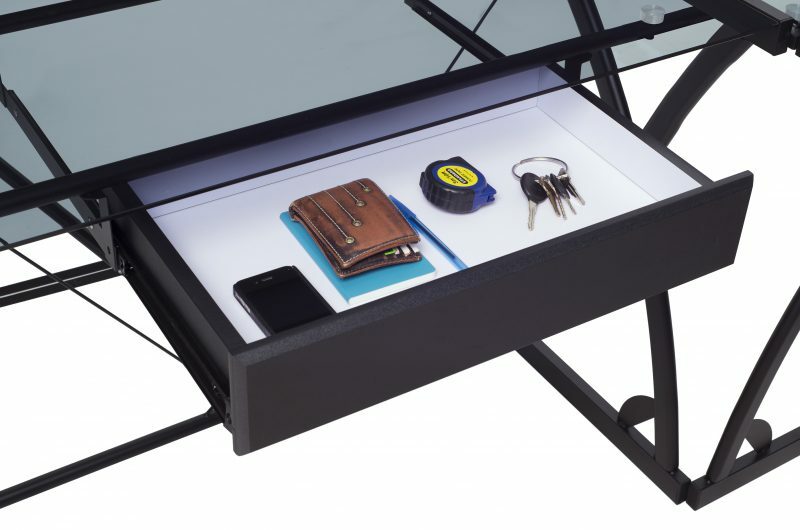 A Slide out keyboard shelf and center drawer can be installed on either side of the desk.